A crackdown on illegally dark window tints is the latest road safety initiative from the Victorian Police this month. On April 3, Channel 9 News featured police officers testing AutoLight ᵀᴹ on vehicles. This portable meter measures the percentage of light transmitted through a tinted window with technical accuracy that is impossible through visual inspection, making it an invaluable tool for law enforcement agencies. 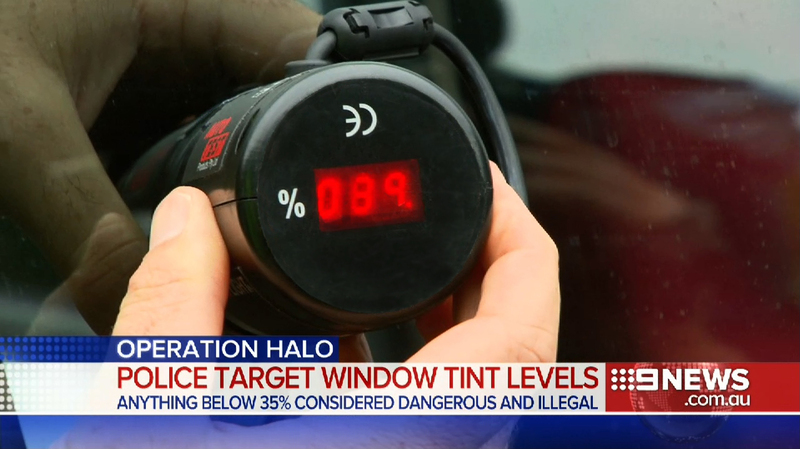 Coded ‘Operation Halo’, this month-long program will run across inner Melbourne and will assess whether the tint level of a vehicle’s side and rear windows meets the Victorian legal standards in maintaining a visible light transmission (VLT) of at least 35 per cent. The likely catalyst for this police initiative was a detection of extremely dark tints, as low as three per cent. When zero per cent signifies no visibility, this is cause for concern. Unlawful tints not only reduce visibility for drivers but also obscure the view of drivers for cyclists and pedestrians, which is especially dangerous in areas where foot, bicycle and driver traffic converge. Compact, lightweight, accurate and easy to operate are the founding principles underpinning AutoLight ᵀᴹ’s development, and remain at the heart of its success. Not only has AutoLightᵀᴹ propelled AutoTest to the forefront of road safety development, but it has shed light on an area that is widely misunderstood by consumers. Learn more about AutoTest’s AutoLight ᵀᴹ here.